You can say what you like about Steven Seagal – good or bad – but it doesn’t really matter. He’ll continue to make movies like Code of Honor, he’ll continue to wave his hands in the air in a vaguely threatening manner during fight scenes, and he’ll absolutely positively not change the way he mangles the few lines of dialogue he gets to spout from movie to movie. After forty-seven features (yes, forty-seven! ), one short and one TV series, the slowest moving action hero in movie history has become the very embodiment of cinematic mediocrity. And yet… and yet… there’s something about him that keeps audiences coming back for more. Is it the possibility that he’ll surprise us all with a measured, affecting performance amidst all the gunplay and martial arts? Maybe. Or is it simply to see if he can put in an even worse performance than the last movie? Again, maybe. There’s a third possibility: what if Seagal hasn’t found his “groove” yet? What if there’s a role out there that will allow the sixty-four old to impress us all, and erase the memories of the dozens of leaden performances he’s given since debuting in Above the Law (1988)? And what if that’s what draws in audiences time after time? An unrequited hope in the man himself? Well, if that is the case, then Code of Honor isn’t the movie to change anything. The guilty pleasures inherent in a Seagal movie are all here: those flapping hands, the poorly edited fight scenes that always fail to make him look good (and only halfway competent, despite his real-life prowess), the squinting, the drawn-out, laconic line delivery, and of course, the laidback hands clasped together and looking bored approach to every character since Chef Casey Ryback. The plot is only slightly unusual this time. Seagal is a vigilante ex-US Army Colonel cutting a swathe through the criminal gangs in Salt Lake City after his wife and child are killed in a gang-related shooting. While the local cops, headed up by Mandylor’s frustrated homicide detective, mill about like extras getting in the way, rogue fed Sheffer goes after Seagal and does an equally good job of offing loads of bad guys along the way – and with katana knives at that; who knew they were standard issue FBI weapons these days? Add a pretty stripper (Mattsson) to the mix as a witness who hasn’t actually witnessed anything, and a bonkers twist that doesn’t make sense at all, and you have a movie that wants to be different but doesn’t have the wherewithal to make it happen. Seagal is as bad as ever, but Sheffer matches him, giving the kind of dreadful performance that begs the label “career-killer”; A River Runs Through It (1992) seems like it was an eternity ago now. To make matters worse, the pair are coerced into a scene that rips off the confrontation between De Niro and Pacino in Heat (1995). (It’s a bold if unforgivable move, and Mann fans would be well within their rights for fast forwarding that particular moment.) Writer/director Winnick flirts with the idea of making a fast-paced, gritty thriller, but lets himself down by coming up with a script that flails about in search of credibility at every turn. 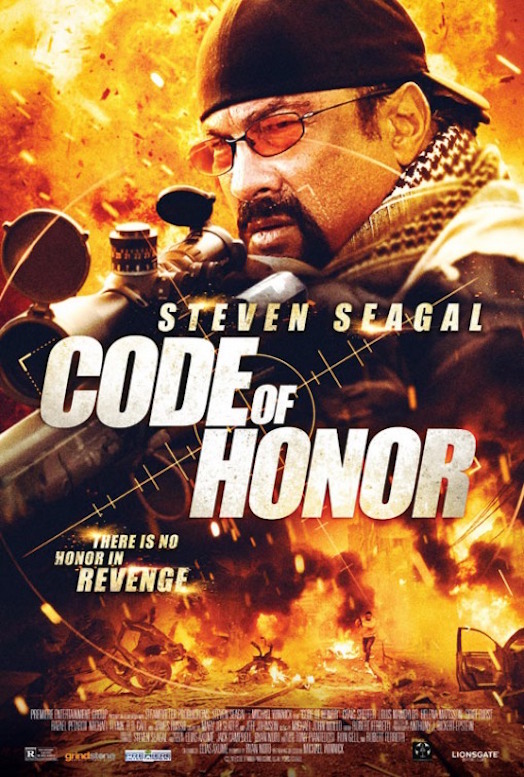 With an abundance of, and over-reliance on, CGI blood splatter, and Robert A. Ferretti’s editing proving more distracting than fluid, Code of Honor wastes what few ideas it does have by surrendering to the inevitable: it’s a Steven Seagal movie, and if he’s not making any effort, why should anyone else? 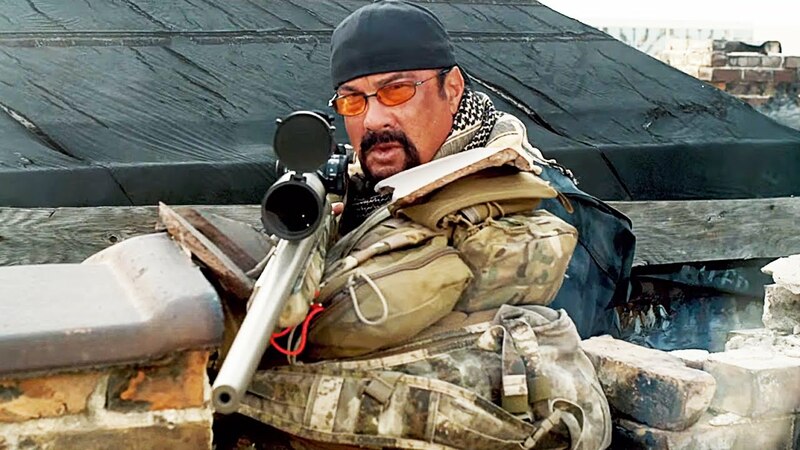 Rating: 3/10 – good intentions aside, this is very much a generic Seagal movie, with little to say for itself, or the means in which to do so; plodding and cruelly exposed by the absurdities of Winnick’s script (and direction), Code of Honor can’t even be called another nail in the coffin of Seagal’s career – because by now there must be very little left of the actual coffin with all the other nails in it.